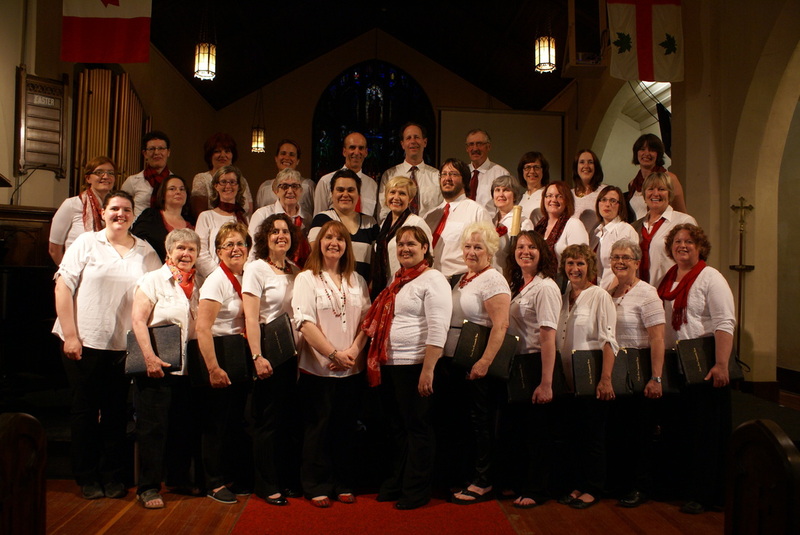 In the fall of 2014 we had a photo shoot with Amanda Monette of Anabella Photography. 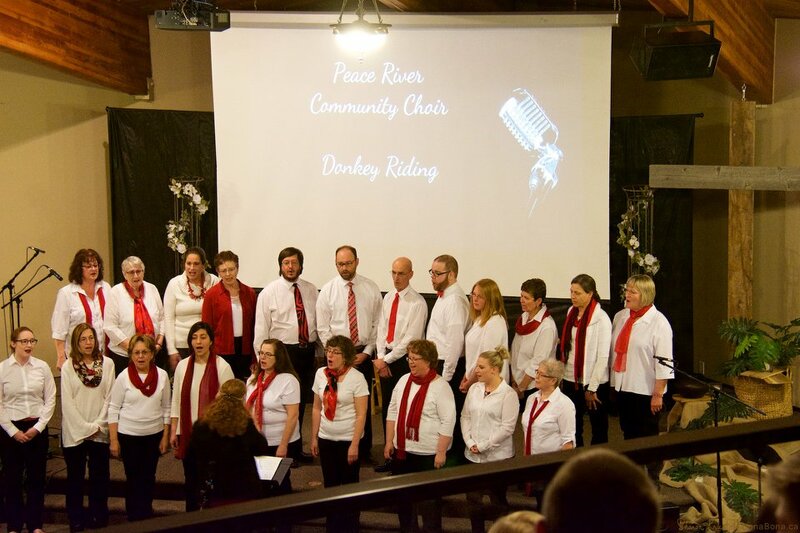 The Peace River valley was a beautiful backdrop of our photos. 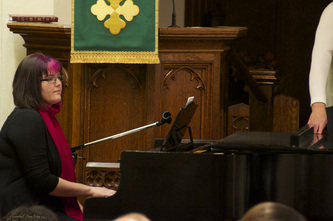 Thanks everyone for the great pictures! 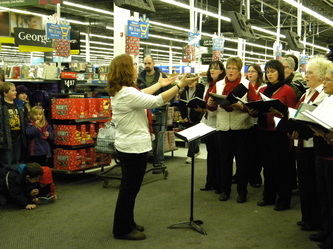 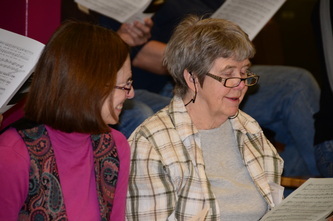 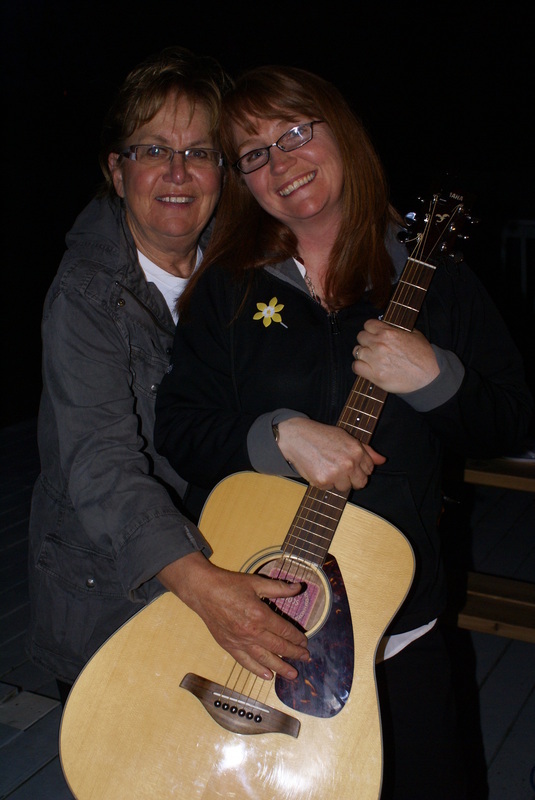 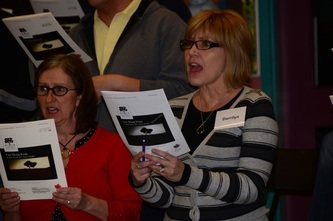 We enjoy singing together! 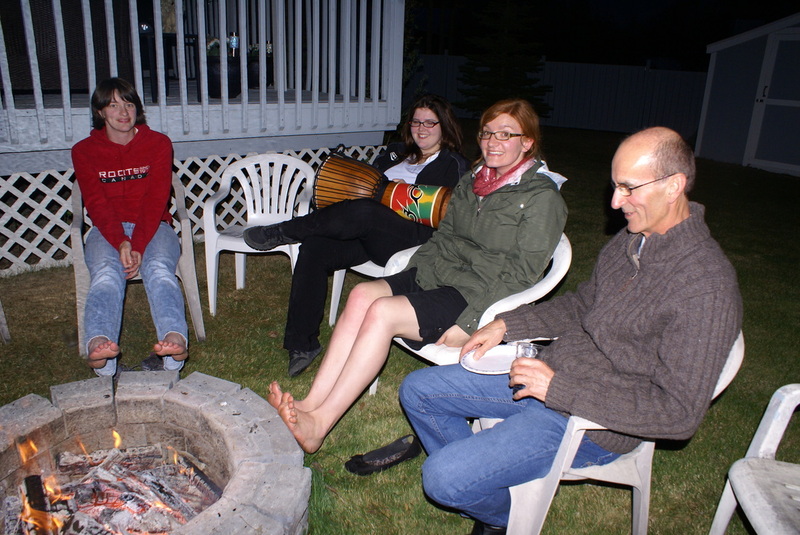 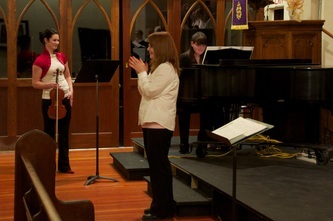 We also enjoy post-concert socializing. 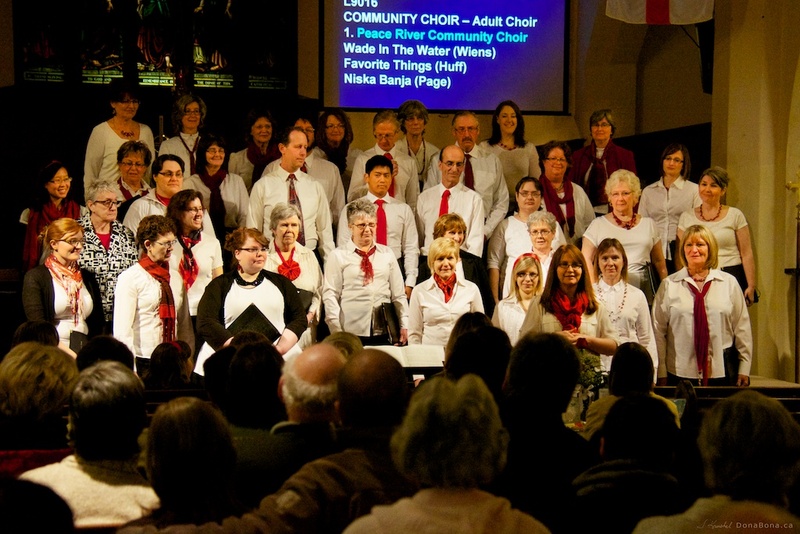 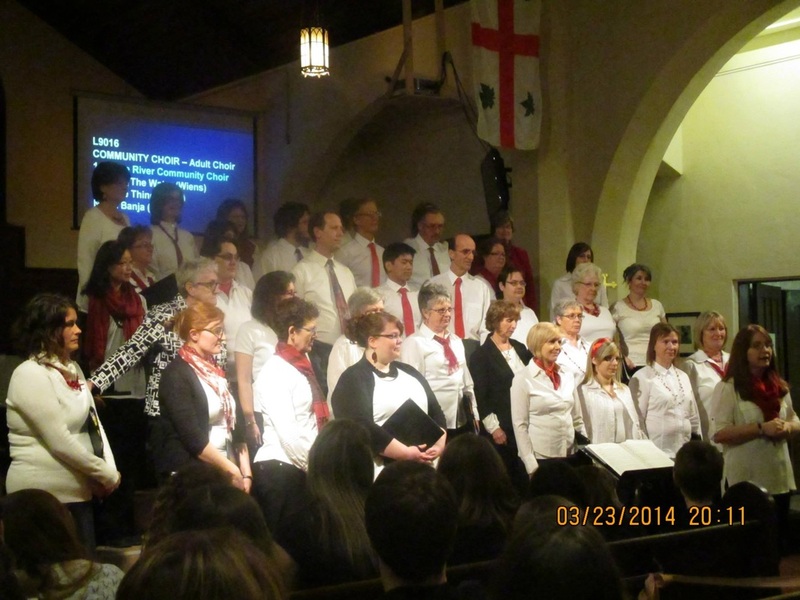 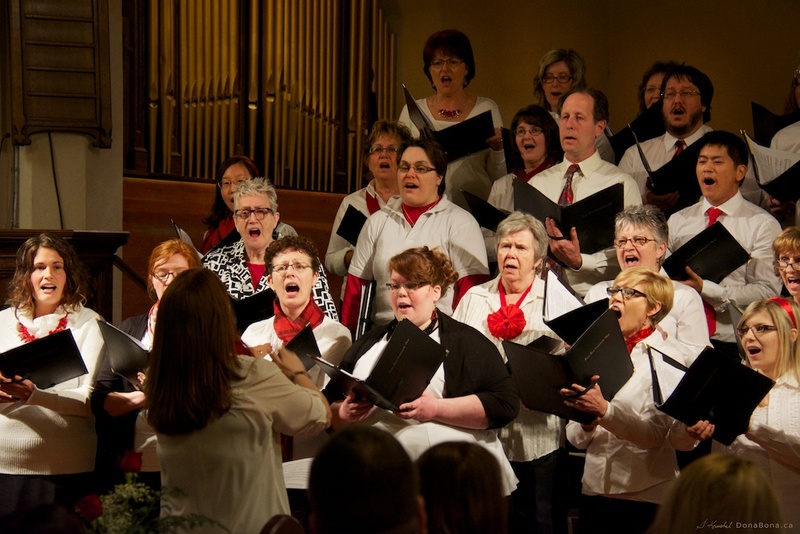 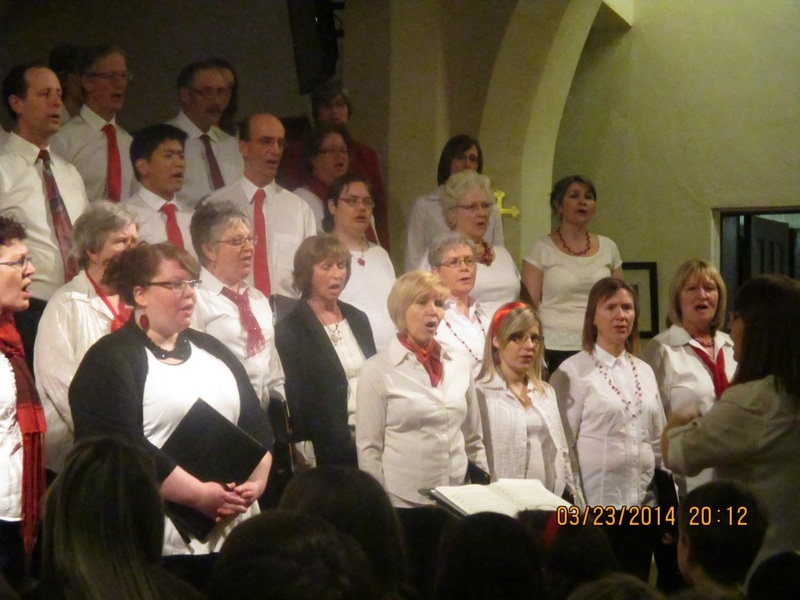 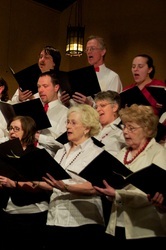 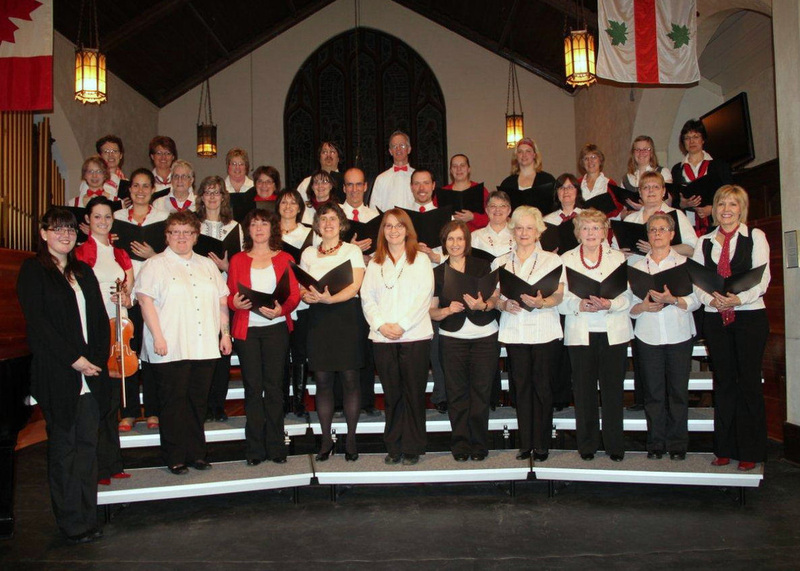 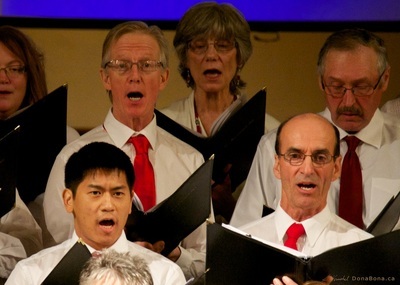 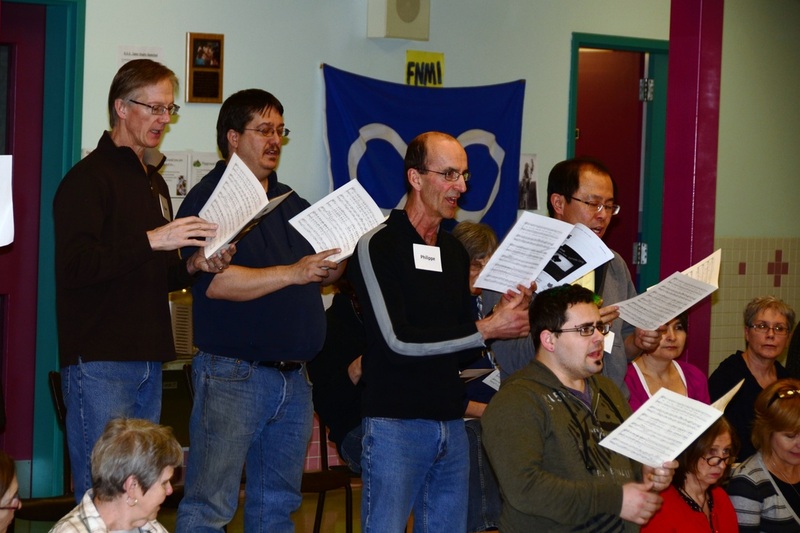 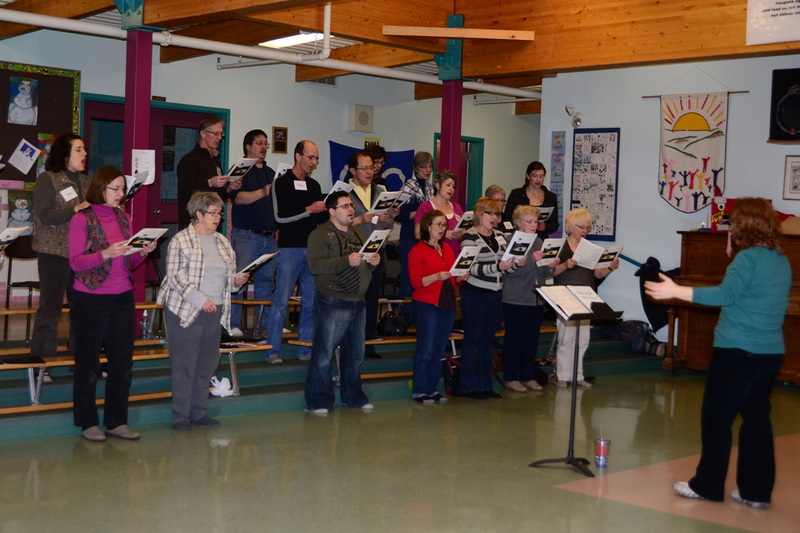 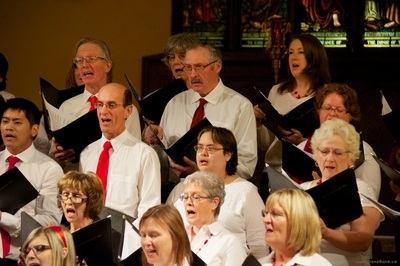 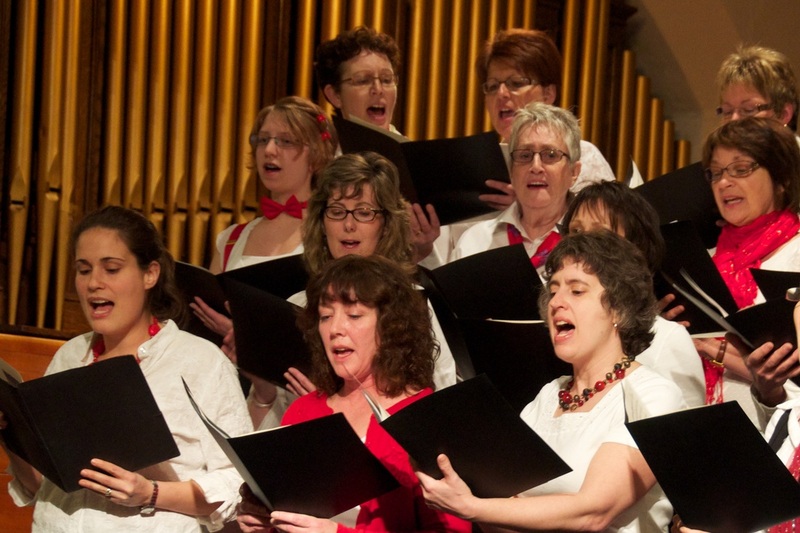 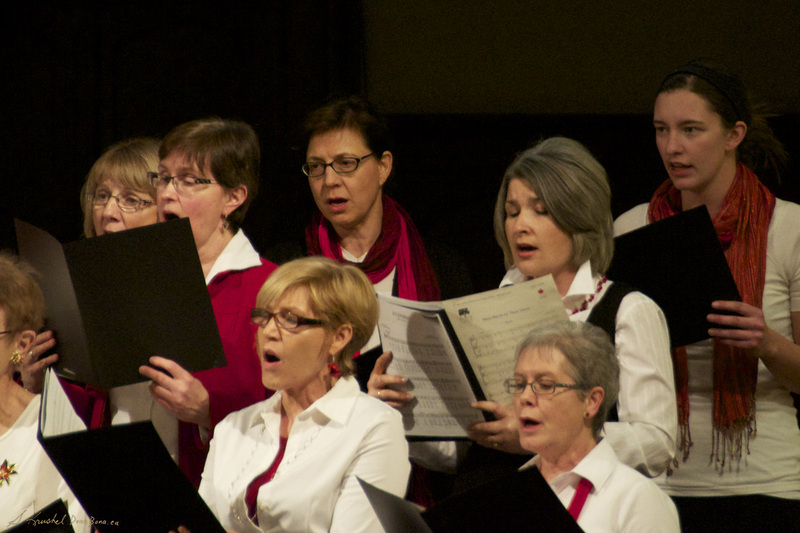 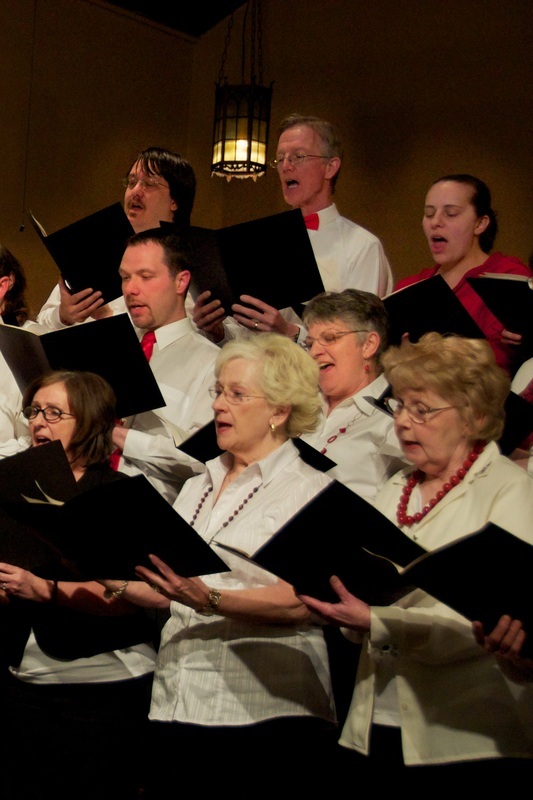 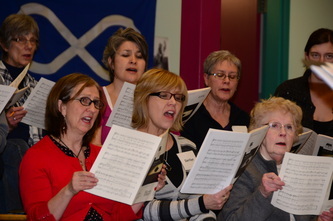 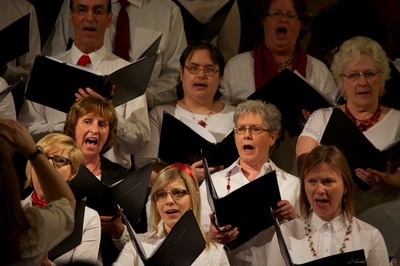 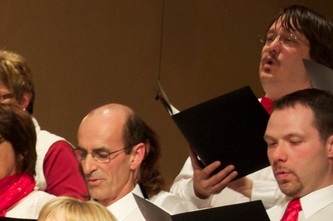 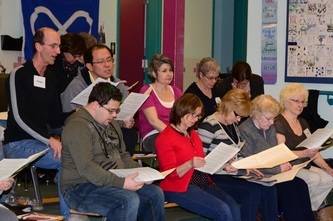 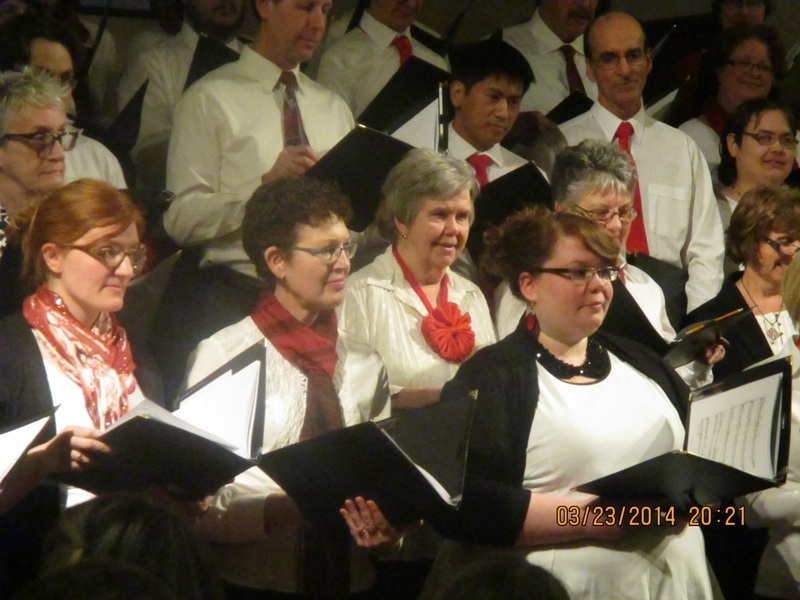 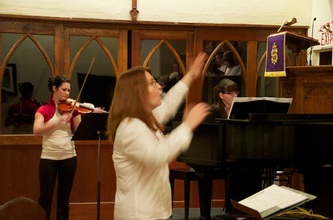 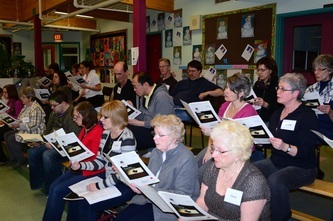 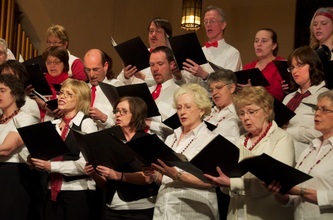 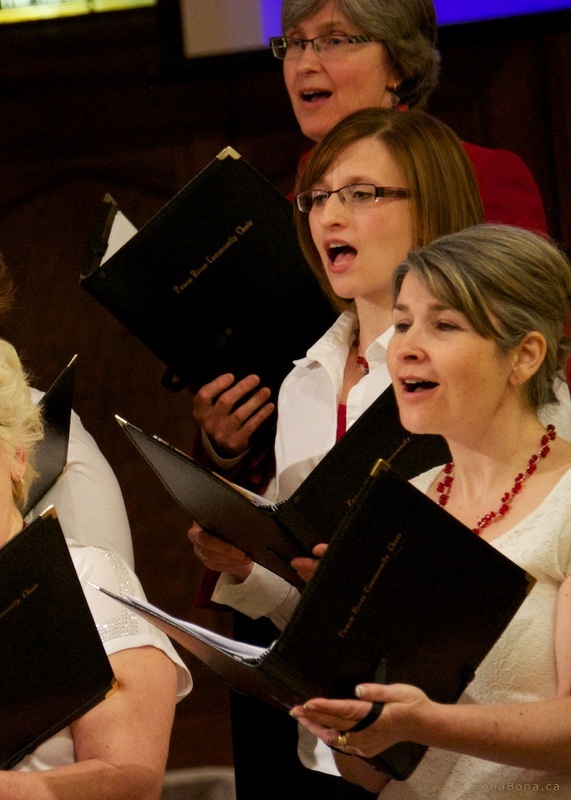 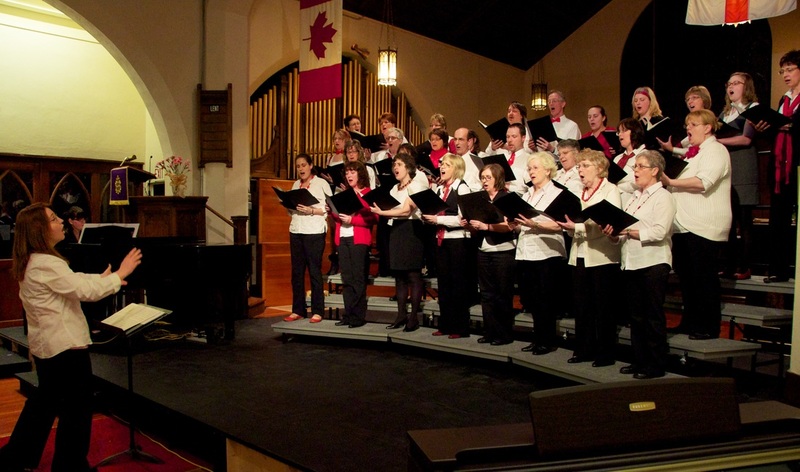 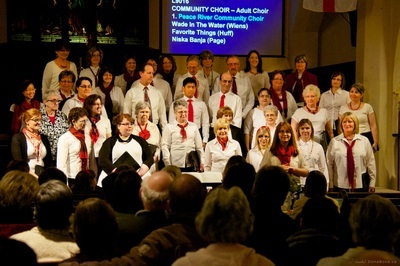 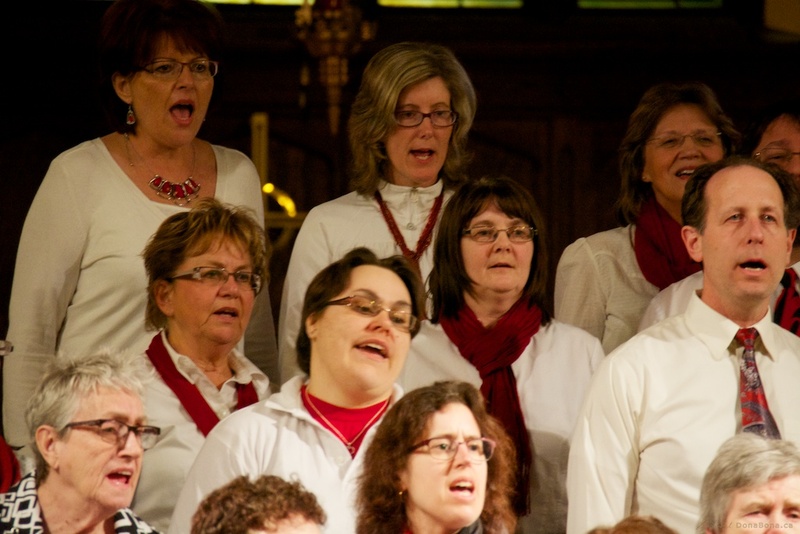 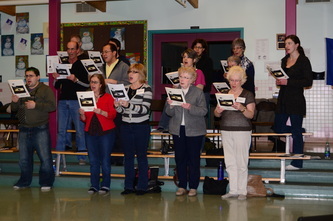 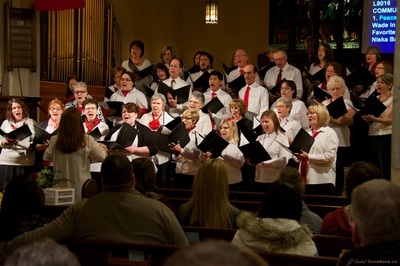 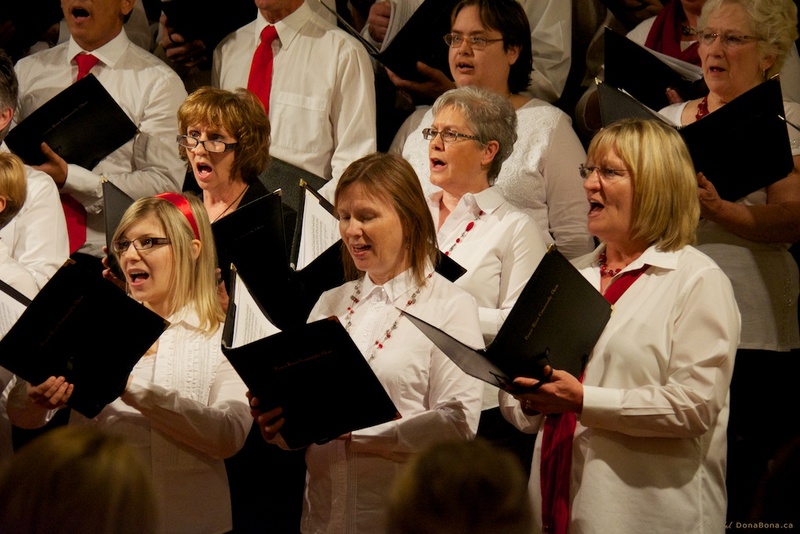 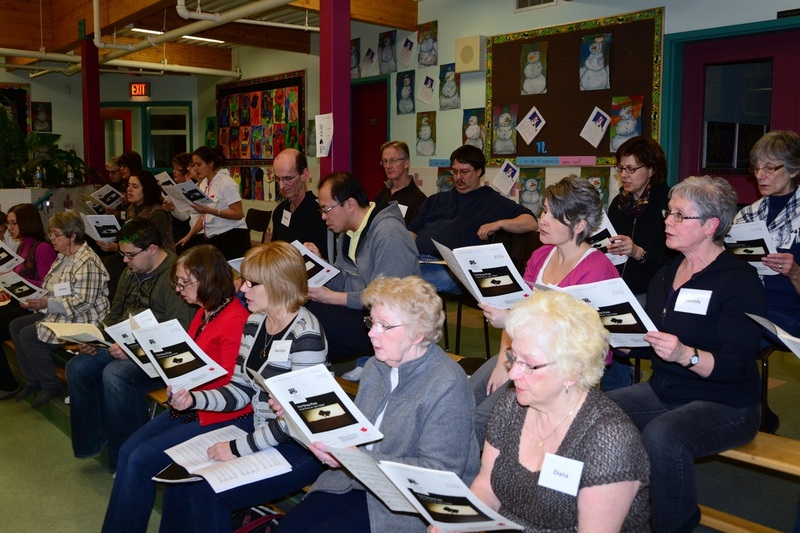 On April 2, the Community Choir sang two pieces prior to the Josephberg Men's Choir Concert at St. Paul's United Church. 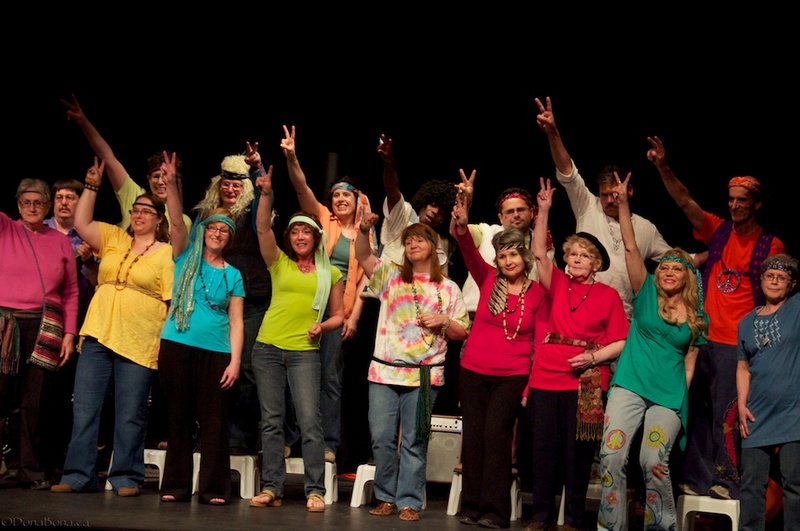 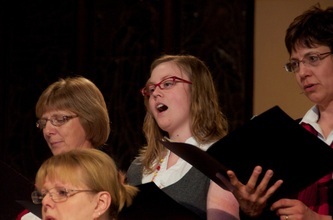 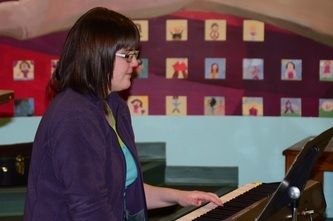 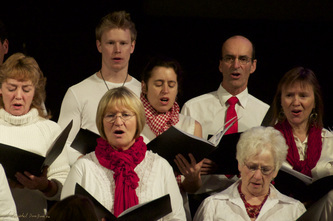 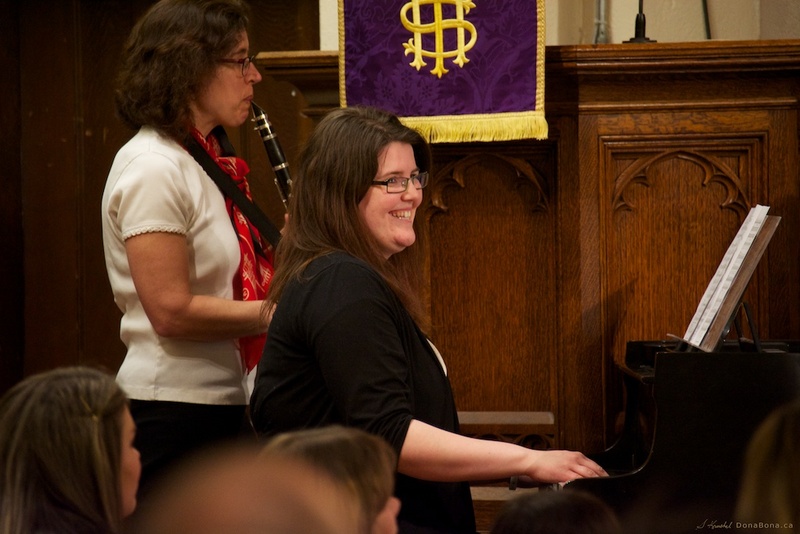 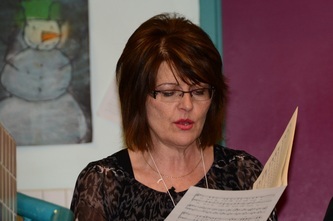 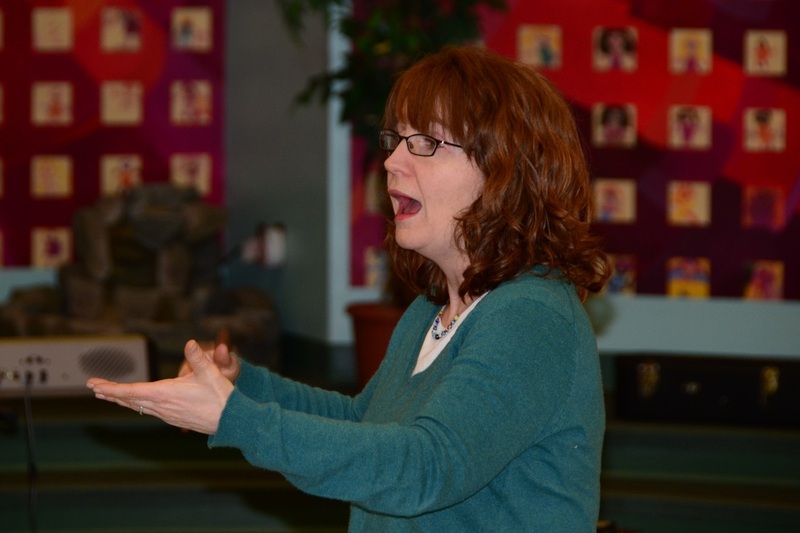 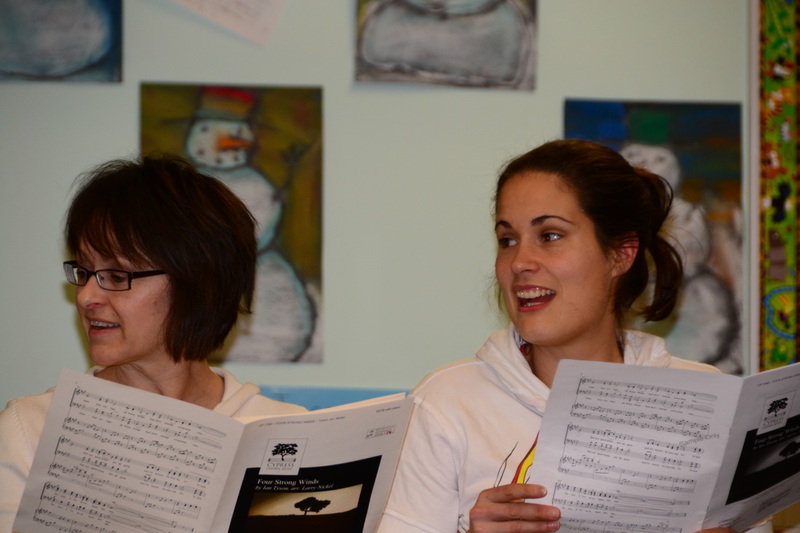 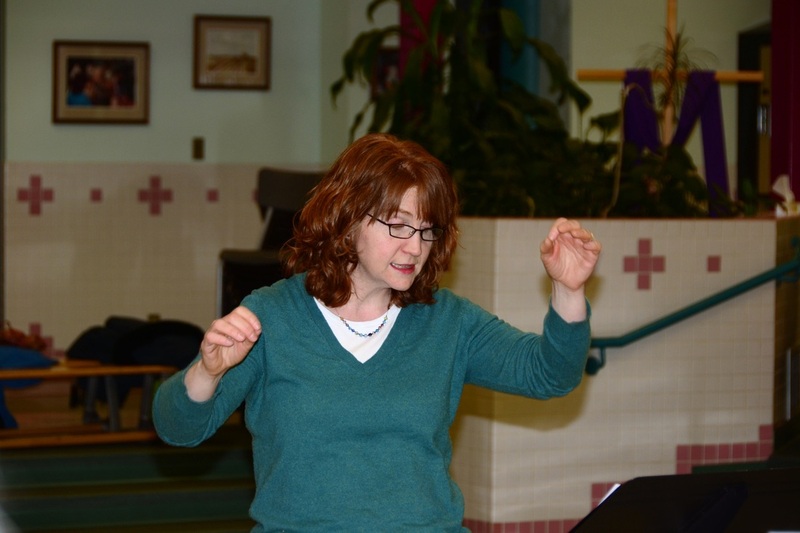 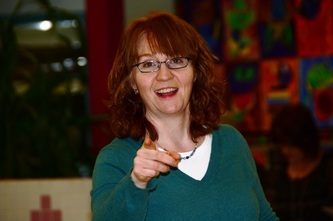 This photo is one of the few where you get to see the face of our beautiful and vibrant choir director, Nicola Quigley. 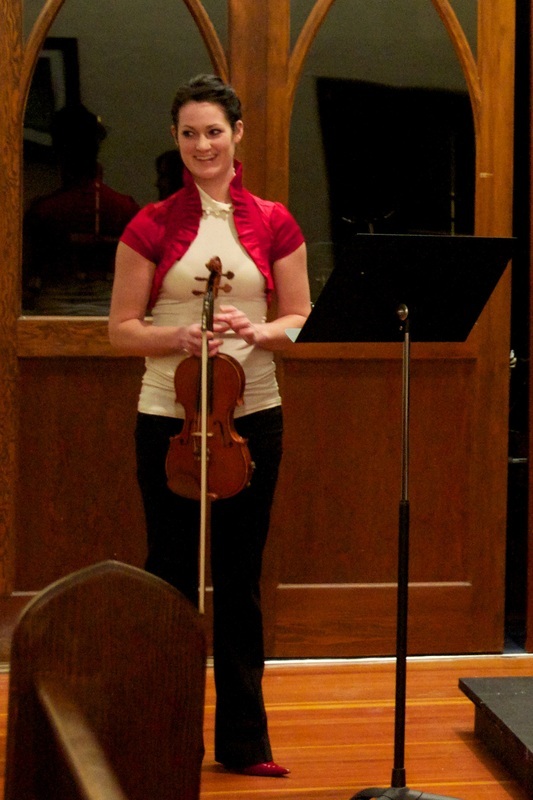 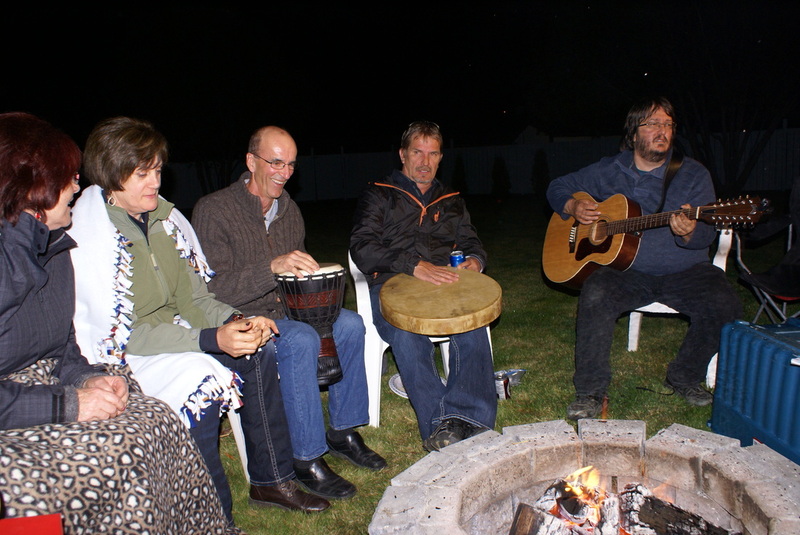 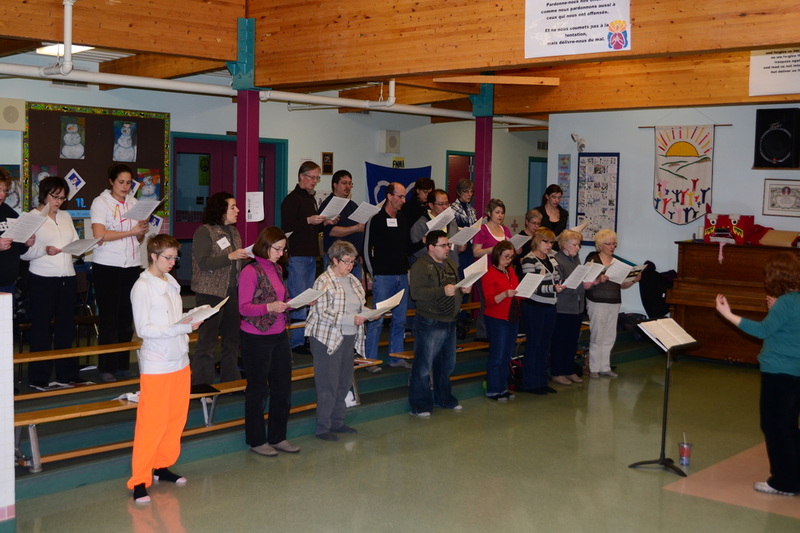 We rehearse every Tuesday evening at Good Shepherd School.